Are you looking for a way to beat the heat when the temperature rises? Do you want to stay warm on those cool nights? 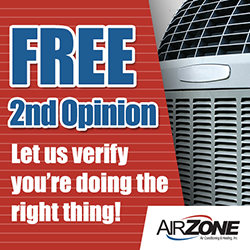 Air Zone Air Conditioning & Heating provides high-quality heating ad AC repair in Town N’ Country. Our skilled technicians receive regular training to provide the best results. Our company prides itself on helping customers get a timely, affordable, and satisfactory resolution every time. When you need air conditioning repair and heating services, you can choose from many options. However, you won’t get the best service if you choose a subpar company. Our organization has 30 years of experience providing top-notch services to homes and business. Our company provides a wide variety of services ranging from simple maintenance to large scale repairs. We are proud to serve customers in Hillsborough, Pinellas, Pasco, Polk, and Hernando County. 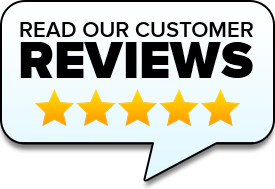 If you’re looking to service your air conditioner or heater in Town N’ Country or the surrounding areas, don’t settle for a company that isn’t qualified – let our skilled team go to work for you. You may have a tough time tolerating the heat when your air conditioner has problems. Even a small problem can leave you defenseless against the warm climate. Our technicians are trained to spot the problem and deliver a fast solution. We can change filters, check electrical components, and perform many other valuable services. Our technicians receive regular up-to-date training. We are always qualified to help you keep your A/C unit in good condition. We recommend regular maintenance to improve your air conditioner’s performance. Regular maintenance (we have multiple plans available) can help you preserve the life of your A/C unit. It can also help you avoid the need for costly repairs in the future. When the temperature drops during the night and a breeze is blowing, it can get quite chilly. You need a heater you can rely on during nights like this. Our company offers a variety of helpful heating services. From installations to maintenance to repairs, we can handle any need you may have. To find out more about getting quality air conditioning services and heating services, contact Air Zone Air Conditioning & Heating today!